My name is Grace Abimbola, I am the CEO/founder of Star Children Initiative. 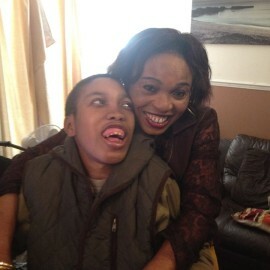 SCI is Nigerian based charity organisation that raises awareness I am a mother of a disabled child whose name is Joseph. He was born as a normal and happy-go-lucky boy who was able to speak and his development was normal with no disability. When he was five years old, my son started having seizures once in three months which is referred to in medical term as ‘petit mal’, this went on for one year with no serious impact on his development, although I was concerned as a mother, I was proactive about seeking help for his epileptic fits. The medical team in London assumed the seizures to be convulsions that are associated with temperature. This was the beginning of my journey with my extraordinary boy who has complex needs. These episodes of seizures progressed to constant fits, which is called acute repetitive, serial or cluster seizures. 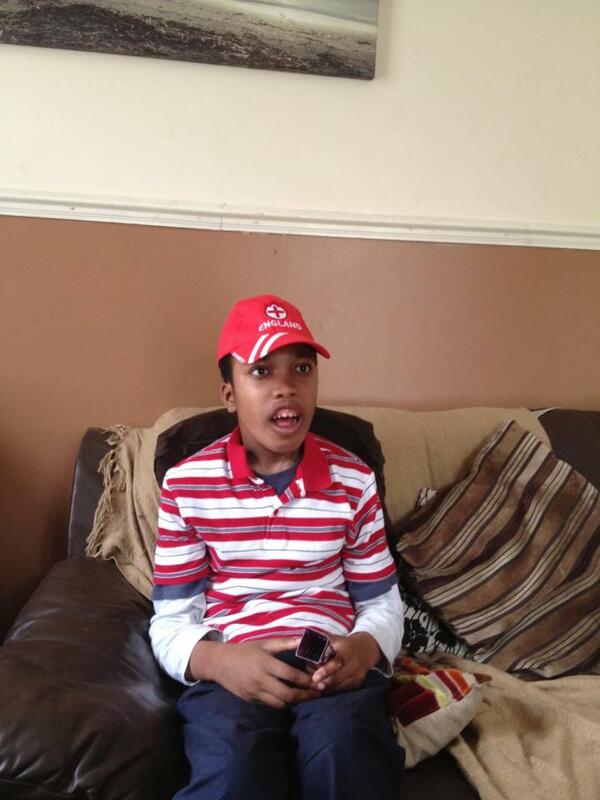 This later developed into ‘status epilepticus’ which is a very serious condition and it can be life threatening. I noticed that he was slower in doing things and his concentration was also affected. His cognition and motor coordination were also affected. 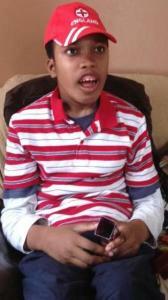 He was having 21 to 28 seizures a day; these subsequent fits had adverse effect on my son’s development. During this period, my son lost his ability to speak and when he was 10 years old, he had a fractured femur which restricted his mobility severely. He started using a wheelchair to move about outdoors, but uses a walking frame to move indoors. Our house in London is adapted to meet his needs. I experienced a sense of ‘loss’ of my beautiful son. I also experienced a sense of hopelessness and helplessness. As a mother, it was difficult for me to take it in. We had a long stay in different hospitals. This was the darkest period of my life. I also went through a period of grief and denial. I was having panic attacks and I was having low mood at the ‘loss’ of my son. I could not sleep for a year. I was grateful that we were living in London with my children; we were fortunate to be able to access medical consultants, ambulance services, therapists, special schools and social services. All services are free, which is also an added privilege for my son I was also supported as a mother of a child with disabilities. I was given a lot of information and advice regarding my son’s diagnoses. I was also exposed to a lot professional network teams who have the duty of care towards my son. I was also able to work collaboratively with the professionals who are supporting my son. The most difficult part was coming to terms with Joseph’s disabilities and complex needs as a mother. This is to appreciate that he is different from my other children. I was proactive in working in partnership with various professional network teams. It took 10 years to get the situation under control. Some studies have reported changes in brain structures in epileptic patients; however, it is found that there is no indication that seizures cause any progressive abnormalities in the brain. Studies also showed that having learning disability does not mean that the child is not intelligent; however, some studies have suggested that frequent seizures can lead to learning deficits like the case with my son. Living in England has afforded my son a decent quality of life. He has also been supported to maximise his potentials. He has been given the opportunities to enjoy the right to life, be healthy, stay safe, enjoy and achieve. These opportunities are vital to every child’s survival that includes children with varied disabilities. I am proud to be a mother of a child who is disabled which exposes me to know the dividing line between hope and hopelessness, sometimes I ask myself this question if life is worth fighting for? A long time ago I had asked myself or wondered if FAITH and PERSEVERANCE can sustain me in the face of trials, challenges or tribulations such having a child with disability? Despite my challenges in raising a child with disability who was not borne with disability, I learnt to choose HOPE which gives me STRENGTH and COURAGE to accept my son’s disability. After accepting my son’s disability, I started to find my purpose and my role hence the birth of Star Children Development Initiative which I find fulfilling and exhilarating. To God Be the Glory I cannot thank God enough for giving me an extra-ordinary son who has impacted so much in my life. 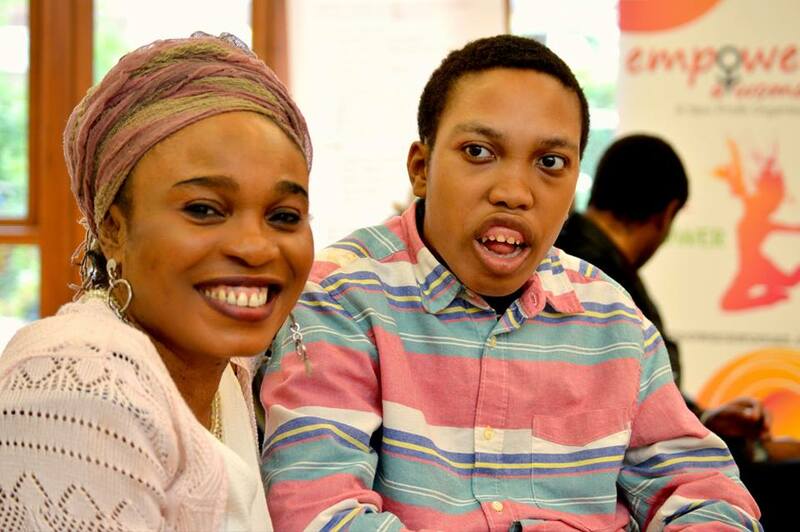 Do you want to invest in any child living with disability in Nigeria and see that sowing in the life of these extra-ordinary children who are ”These Able” who are living in Nigeria with little or no support in place?, please email us on starchildreninitiative@gmail.com you will experience more blessings as you adopt a child with disability today. It is a collective responsibility in raising the STANDARD of CHILDREN with DISABILITIES in NIGERIA.